Industrial fans and Multistage Blowers | Savio S.r.l. On demand all products are available in ATEX version, our Technical Department is at your disposal for more information. Savio offers its customers a team of experts who constantly search for the most advanced technologies. Know-how, design capability and operating abilities of our company are founded on the commitment and experience of over 60 years in the sector. 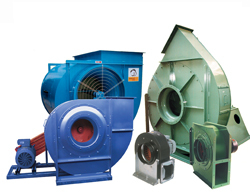 The Products Division manufactures and markets industrial fans (axial and centrifugal fan), filters, multi-stage blowers, air curtain, soundproof cabins, roof extractors, air treatment units (UTA) and a wide range of accessories, ensuring high technological performance, efficiency and reliability. The Engineering Division invests in the development of products, following a course of innovation for every production requirement. Our technical office designs systems for filtering, ventilation, conditioning and heating (HVAC SYSTEMS), pneumatic conveyors ventilation in chemical and industrial processes and climatic wind tunnels, realised with the « turnkey formula ». 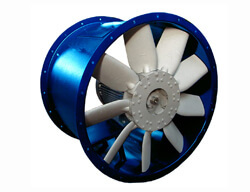 We can Produce also, a selction of custom axial fans and air blowers. Axial fans for industrial purposes and wind tunnels. 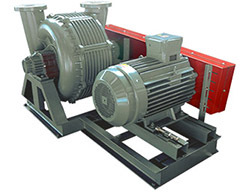 Industrial blowers for biogas treatment and pneumatic industries. Multistage Blowers are used in biogas treatment in dumps, gas treatment in Atex environments, pneumatic cleaning, pneumatic conveyors, air curtains, tunnels ventilation, air hardening, cooling, drying, blowing in cubicles, heat exchangers, gas burners, gas line suppressors, combustion engines testing, chips and swarf removal, spraying systems, suction under strong vacuum for suction caps and similar,blowing and suction in printing presses. Over 15 different series of Centrifugal fans to solve all possible ventilation problems, direct coupling or belts and pulleys transmission. Aluminium or steel impellers with nailed, welded or thickened fan casing according to the applications use and to degree of dust particles. Suitable for round or square pipes. Designed for easy maintenance and inspection.